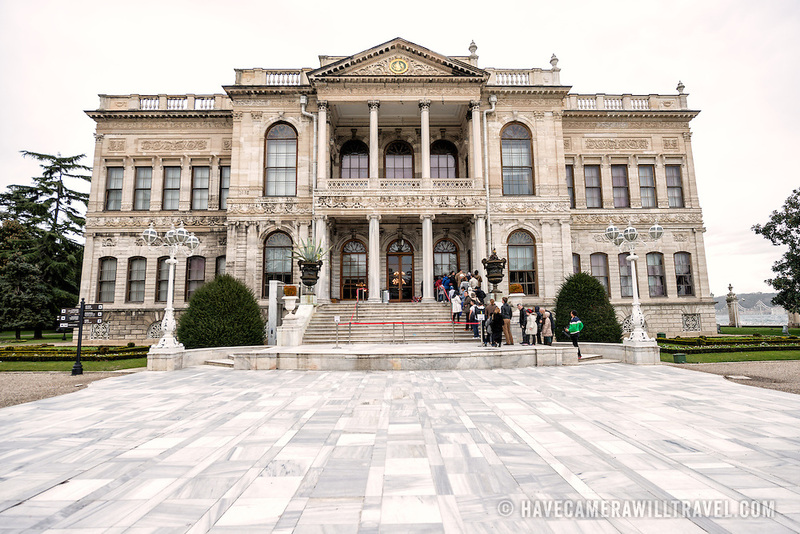 The exterior of the administrative building at Dolmabahçe Palace. Dolmabahçe Palace, on the banks of the Bosphorus Strait, was the administrative center of the Ottoman Empire from 1856 to 1887 and 1909 to 1922. Built and decorated in the Ottoman Baroque style, it stretches along a section of the European coast of the Bosphorus Strait in central Istanbul.